Krissa 7-Piece Comforter Set Just $63.99! Down From $200! You are here: Home / Instagram / Krissa 7-Piece Comforter Set Just $63.99! Down From $200! For a limited time only! Macy’s has this Krissa 7-Piece Comforter Set on sale for just $63.99 down from $200 when you use promo code SPRING at checkout! Get FREE store pick up or FREE shipping for orders $99 and above! 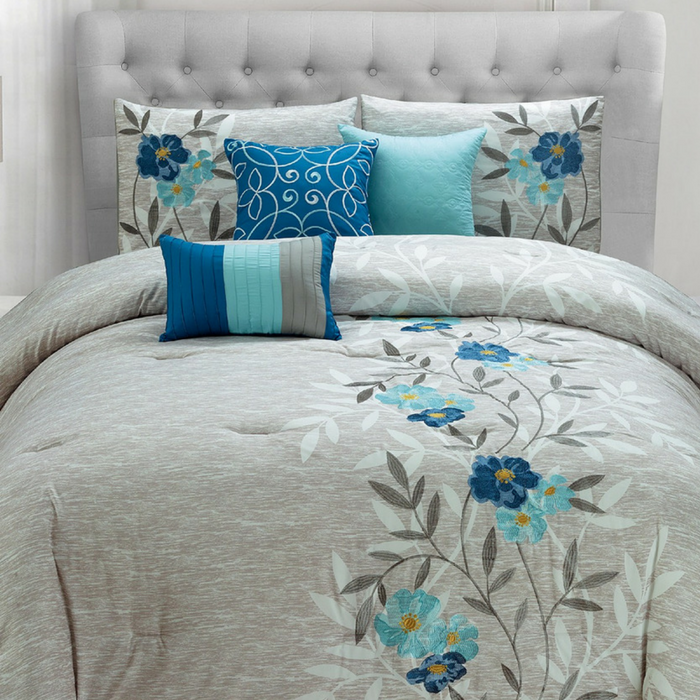 Create an inviting atmosphere in any room with the cool tones and eye-catching floral embroidery of these Krissa comforter sets. The array of coordinating decorative pillows add stylish depth and quality comfort to your bedding ensemble.